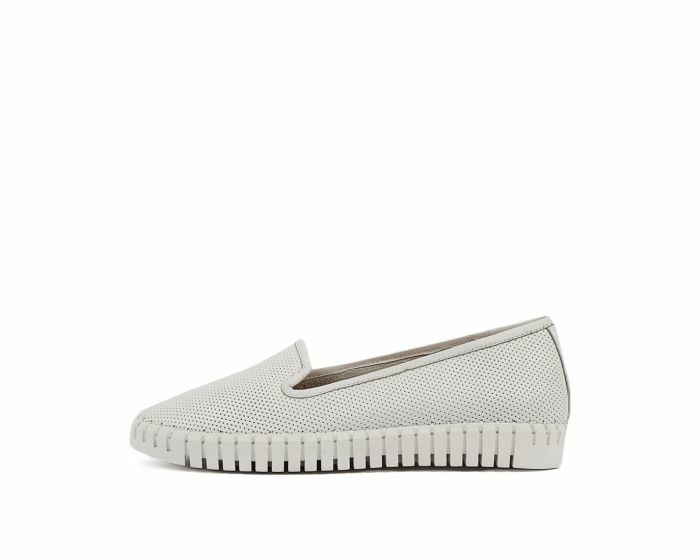 Slip into HARUKO for the ultimate sporty-chic style! An effortlessly casual option with a pin punched leather upper and flexible ribbed sole, this shoe is convenient and looks premium paired with dressed-down looks. Inside, the removable wedge insole offers a little bit of lift, ensuring that you'll strut your stuff with confidence this season.